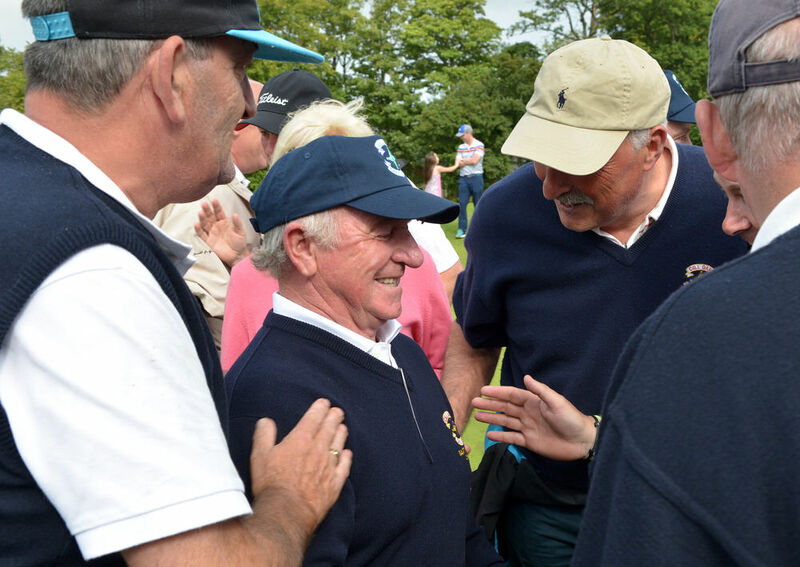 Ruairi O’Connor coolly brushed in a slick eight footer for birdie to beat Robert Moran on the 19th and give County Sligo a heart-stopping 3-2 win over Castle and their fifth AIG Senior Cup title at Carton House. Following last Thursday’s AIG Junior Cup win, the Rathfarnham club was bidding to become just the third since Royal Dublin in 1927 and Portmarnock in 1933 to win the Junior and Senior Cups in the same year. But while they turned around early deficits to get within touching distance of victory, County Sligo cruelly snatched the blue riband title from their grasp and dedicated an emotional victory to much-loved panel member Mark Rooney, who is battling cancer. “This means a lot to us now,” an emotional O’Connor said as the winners celebrated and the losers licked their wounds as Co Sligo had done on the same green in similar circumstances two years earlier. “Our team captain from the last couple of years (Mark Rooney) is going through a tough time so it means a lot to bring this trophy back to him. He wasn’t able to make it today but he was glued to the scoring. "Our management staff, Robbie Fitzpatrick and team captain Shane Flanagan, they’ve been outstanding. They left no stone unturned for us. Two years ago, we lost it on 19, the same situation. It was great to come out on the right side of it." While the Rosses Point men had two points on the board with the excellent David Brady growing in stature as the competition developed, beating Peter McKeever 4 and 3 and new kid on the block, TJ Ford, seeing off Jim Mulready 3 and 2, Castle were leading in the other three matches on the pristine O’Meara Course. With Irish Close champion Alex Gleeson winning the 18th to completed a hard-fought two-hole win over Declan Reidy at number two and Daniel Holland coming back from three down to secure a dogged, 2 and 1 win over Mark Morrissey in the anchor match, it appeared that Moran would be the hero of the hour when he took a one up lead over O’Connor to the 18th tee. However, the 23-year old Sligo man had other ideas, hitting a bullet-like 220 yard three iron to the heart of the 18th to set up a winning par four and force extra holes as Moran overshot the green. At the 19th, the par-five first, Moran hit a corking drive but with O'Connor in sand short left, he missed the green left and pitched 10 feet past. O'Connor had a difficult third from the front left bunker but he played it very well and it caught the ridge short of the hole and rolled down to no more than eight feet. "It was lying okay," he said of the bunker shot. "Tough shot, well below the level of the green, just had to get it on and the slope of the green would do the rest." 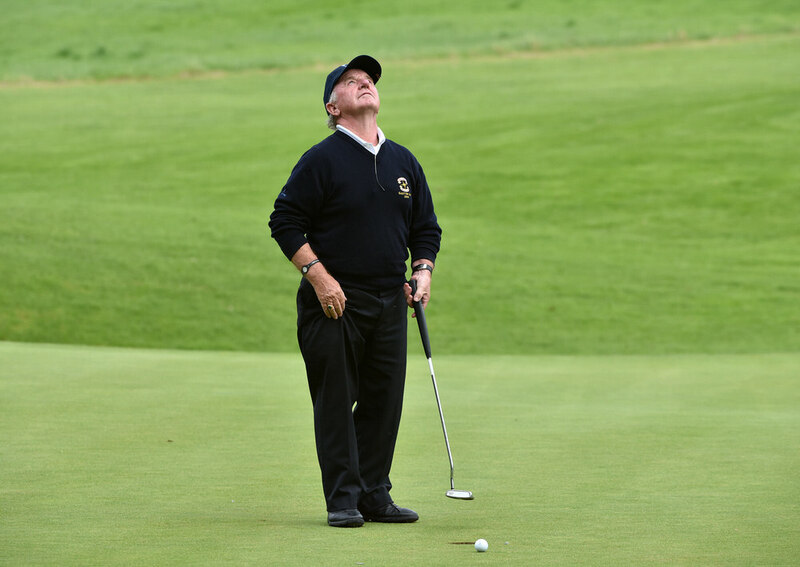 After watching Moran, who had a been a hero for Castle throughout the competition, leave his birdie putt short, O'Connor listened to his caddie, Alan Gaynor's advice and hit his putt at the left lip. "My caddie, Alan has been fantastic, he gave me a great read, spot on and I trusted it. It was never anywhere else. Just left edge, dead weight." The AIG Jimmy Bruen Shield also went to the 19th with nine-hole Cill Dara edging out Athenry 3-2 with former Derby-winning jockey Christy Roche holing a two footer for par and the win as he and his partner Patrick Hopkins edged out Ciaran Coughlan and Seamus Burke in the decisive match. Having won the Barton Cup together in 2004, they are now Cill Dara's dream team after helping the modest Kildare club to its first green pennant. On the match, Hopkins said: “It was very sporting Athenry were lovely people." Roche holed a good putt for par at the 18th, then made a two footer for a winning par in extra time and insisted that the pressure was not a problem for him given his experience in top class sport. The sporting nature of the clash summer up a memorable week at Carton House. Mark Morrissey lost to Daniel Holland 2&1. Patrick Hopkins & Christy Roche beat Ciaran Coughlan & Seamus Burke 19th. County Sligo’s Fred Daly team celebrates at Loughrea. Picture by Hany MarzoukSean Flanagan was the matching winning hero as County Sligo clinched the Fred Daly Trophy for the second time in five years with a 5-2 win over Faithlegg. Co Sligo win Senior Cup: Terry Brady (Captain, Co Sligo Golf Club) and Tom Ford (Team Manager) pictured with the Co Sligo Senior Cup team after their victory at the GUI All Ireland AIG sponsored Cups & Shield National Finals at Royal Golf Club today (21/09/2013). Also in the picture are Garth McManus, Gary McDermott, Declan Reidy, Shane Underwood, Mark Morrissey, Steffan O’Hara, Sean Flanagan, David Brady and Steven Brady. 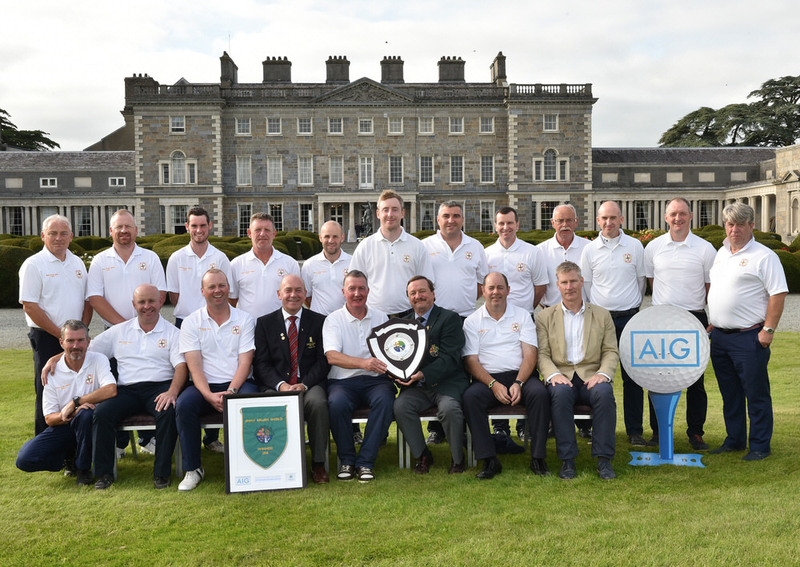 Picture by Pat CashmanThere were jubilant scenes at Royal Tara Golf Club on Saturday as County Sligo captured the AIG Senior Cup at the expense of Ulster champions Rosapenna, writes the GUI.